Anyone else have one of these? I needed a new tamper for my pipe bag and this one had good reviews on Smokingpipes..
Got it a few days ago and I'm really loving it. I'm not sure how it works exactly but it WORKS. The actual tamper part reminds me of an old school radio antenna. The removable pick part is slim and rigid, works just fine for removing stubborn tobacco chunks from the bottom of the bowl. If it's durable enough to last for a few years it could very well become my favorite tamper. 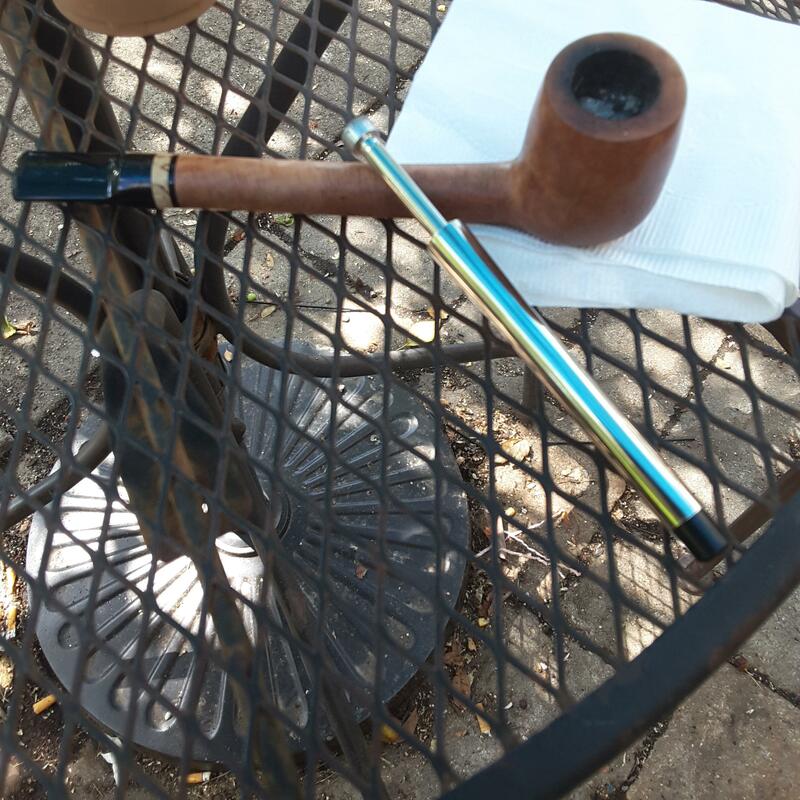 Neat little toy, but I'd rather talk about the pipe. Sweet looking Canadian! dot got it right, Sweet looking Canadian! Actually it's a Lovat! It's a Mark Tinsky..loving it so far. Scored it unsmoked at an estate price. Mark Tinsky you say, no wonder it looks so good. Congrats on your score! My favorite tamper is a 45 yr old one that looks like a pocket knife, with a tamper, round-bladed scraper, and thin pick. Smokingpipes sells the same design although they seem to be chronically out of stock. I dropped mine and one of the plastic sides fell off, need to glue it back. Second favorite is the (genuine) Czech tool. Best bang for 2 bucks going, but has a spoon instead of a scraper blade. Yup, I use the exact one. I know how it works but I'm awful at explaining things. The benefit of using this is its head can retract back into the tube, so the dirty tamper won't rub against the inside of your pocket. For that reason this is my favourite tamper when smoking outdoors. In otherwords, an uncircumcized tamper.